The swoosh off the tee at the Solheim Cup. The roar of the crowd at the NCAA Tournament. The sizzle of bacon at the World Pork Expo. The rev of the engines at the BMW Motorcycle Rally. These sounds correspond to one absolute: the “ka-ching” of cash registers across Greater Des Moines every time an event comes to town. 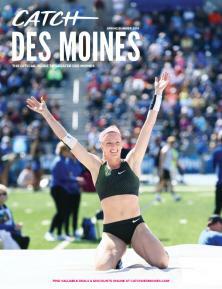 In 2017, Catch Des Moines hosted 296 events, which had an economic impact of nearly $78 million dollars. Not only do these events bring money into the economy, support jobs and provide tax relief for residents, they create a virtuous circle: each event opens doors to future events and adds to the credibility and reputation of Greater Des Moines as a destination for both business and leisure travel. Each one amplifies civic pride, builds city prestige, delivers media attention and enhances quality of life for those who live and work here. Then there is a halo effect where these visitors experience (and then talk about) the local attractions, restaurants and retailers that make our metro such a great place. Greater Des Moines has always been a great place to live; it’s our job to show people that it has become a great place to visit. After all, no one ever moves somewhere without visiting first. At Catch Des Moines, the majority of our funding comes through hotel/motel tax, which is used to market Greater Des Moines to both leisure travelers and event planners and also to re-invest in our nearly 600 partners. To lure many of these larger sporting events and conventions in a crowded and competitive marketplace, we need to offer incentives and financial support. That is where the backing of our investors comes in. By investing in the mission of Catch Des Moines, you are helping us bring prominent events and important conventions to town. You are investing in the growth of your own community. You’re investing in the quality of life of your employees. You’re investing in the reputation of the metro and the ability to attract and retain talent. Greater Des Moines is emerging, progressive and inclusive. For those of us that live here or have visited, that’s no secret. It’s our job, with your help, to turn our “best kept secret” into a deafening roar.